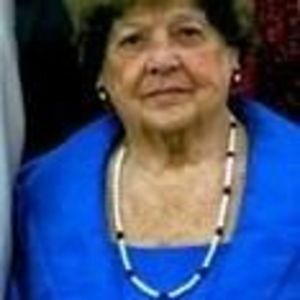 Ann Alice Weaver, 95, passed away on December 8, 2017. Ann was born in Connecticut on September 9, 1922 to the late Joseph Colella and Mary Colella. She is survived by her daughter, Judy Garrett and husband, Clark, son, David Weaver and wife, Jo, grandchildren; Jonathan Garrett and wife, Hillary, Jason Garrett and wife, Gretchen, and Seth Garrett and wife, Meredith, one great-grandchild, Isabelle Garrett. She is preceded in death by nine siblings. A funeral mass to celebrate her life will be held on Friday, December 15, 2017 at 1 p.m., St. Michael Catholic Church, 804 High House Rd., Cary. The family will receive guests one hour prior to the service at the church. Burial will follow at Raleigh Memorial Park, 7501 Glenwood Ave., Raleigh.